The only team standing between the Green Bay Packers and the Super Bowl is the New York Giants. The Giants beat the Dallas Cowboys on Sunday 21-17. The Packers will host New York in the NFC Championship Game this Sunday at Lambeau Field. The AFC Championship Game will pit San Diego against New England. The winners of those two games will square off in Super Bowl 42 on Sunday, February 3rd in Glendale, Arizona. Packers’ head coach Mike McCarthy says he’s excited to host the championship game. He says the team is excited to get a chance to play in front of the home fans again. McCarthy says the fans really showed up on Saturday night. 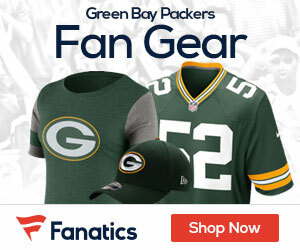 In fact, many fans seemed reluctant to leave Lambeau Field after the joy of watching Brett Favre and teammates romp in the snow as the Packers overcame an early 14-0 deficit to slam the Seattle Seahawks 42-20. SUPER BOWL RENTALS IN ARIZONA. We are offering a total of three Renatls. Identical floorplans-1022 Square Feet, 2 Bedrooms, 2 Baths, Great Room, 14′ Ceilings, Fridge, Micro, Oven, Dishwasher, Washer, Dryer, Covered Parking, Swimming Pool @ Clubhouse. 2.2 Miles From Stadium. Close to freeway, malls, movies. Fully Furnished. House-2143 Square Feet, 3 Bedroom, 2 Bath and a Den, Formal Living and Dining Rooms, Family Room, Fridge, Micro, Double Ovens, Dishwasher, Washer, Dryer, 2 1/2 car Garage, Private Swimming Pool…Approx 4 miles from Stadium…..
total cost of the rental. No refund if Cancelled. -Reservation Deposit is due at time of Reservation Acceptance. -Security Deposit is due at time of SIgning of Rental Agreement.